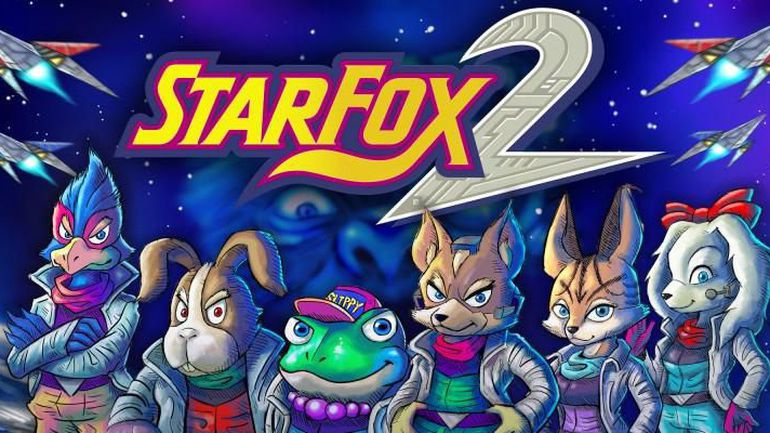 The internet is still in shock somewhat from Nintendo's decision to include the previously unreleased Star Fox 2 on the Super NES Classic Edition. While questions remain about exactly which version of this unreleased game will be on the hardware, we do know Nintendo has commissioned new artwork and a revised logo for the game. I didn't know about it at all. We don't have any work happening with Nintendo right now so there wouldn't have been an NDA-safe way of letting me know anyway. On the other hand, I got to have a big awesome surprise like everyone else so I'm quite happy about that. It's an absolutely awesome feeling. Incredible really. Perhaps a first in the games industry even. I hope so. The English version of X for Gameboy next please. I presume it will be that mastered version? It is one of those games that got fully completed but then due to market changes was shelved. All those ROMs lacked the final magic - i.e. the Mario Club QA and tuning process that makes Nintendo games so good. The final few months of iteration are so important for a game. Also they were set up in debug modes, so the encounter systems didn't seem to work very well. Nintendo provided us with the mastered ROM for research and it was very helpful. I think the biggest new feature is the randomized replay system of the game. Every time you play you get a new adventure and sequence of encounters, a little like a rogue-like, which we see a lot more of in this day and age but back then it was pretty rare. If you have played a ROM then it seems you will not have had the full Star Fox 2 experience. Let us know what you think about these comments from Dylan Cuthbert with a comment below. Now if only i can get a snes mini. We're all shocked. Some of us in not a good way. They must feel !like a proud parent watching their child take its first steps out into the world. And then reel back in horror as it falls flat on its face............,......I'm kidding. What would shock me more is an abundant amount of consoles to play it on. Who's that [removed] at the right? Or is that a lamb? I am in shock. I was gutted as a youngling when it was cancelled. Played Starfox to death. I recently completed it again on my SNES. This is great, in a way. In another way, I am annoyed I have to spend £80 on a console I probably wont be able to get. Really looking forward to Star Fox 2. Also, keen to revisit the original as Super FX chip issues have kept it off the virtual console. @SLIGEACH_EIRE how can you not rejoice at this? What the chuff is wrong with you? @Tarolusa Mind your language please. I've the SNES Classic Mini pre-ordered. I like all the games but would remove both of the Star Fox games and Kirby's Dream Course. And in their place, I'd have Chrono Trigger, another DKC or Final Fantasy and International Superstar Soccer Deluxe. So what if you don't like my opinion? It's as valid as yours. Look at what I wrote. Did I calll it a POS? All I said is I'm shocked in not a good way. Now look at your overreaction response. That doesn't give you the right to swear and insult someone. This might come as a shock to you but we don't have to like all 21 games included. And guess what? If someone mentions other games that they'd like to see omitted or included, I won't attack them for having or expressing an opinion. I hope all this madness generates enough interest into "Star Fox" because I haven't given up on having the original SNES game getting remastered for current day Switch. Imagine: 60 fps, smooth, intense on rails action. Oh well, one thing at a time... and I think it is time I revisit "Star Fox Zero". @SLIGEACH_EIRE I don't think it's the validity he's concerned with, rather the instant, incessant, negative tone. You say it's your opinion - sure - but it sounds like you're on autopilot. @SLIGEACH_EIRE Yes your opinion is valid and your allow to be dissatisfied with something, but when you have to be negative about almost everything and have to spoil some people's enjoyment, it gets really tiring after a while. I've only been on this site for a short period of time but I know you've been pulling this insatiable act for a good while. I do apologise for the profanity though, that was unwarranted and overreacting. There is an ignore button there if it bothers you so much, you need never see anything from sliggy again. @SLIGEACH_EIRE "wooosh!". Dude, its your attidude, dude. @Chunga Ya, I'm the one going around insulting members and swearing at them. He shouldn't be too excited given that many gamers who want to play this will never be able to due to the limited release. Talk of ignore button? Hmm I can imagine who is the incriminated user here. Just ignore that whiny kid like I did since the admins can't do anything about his behavior apparently, and your comment section will soon be more beautiful! For people worried about it only being on SNES mini, you will be fine if you can wait. It's awesome that it gets a first class release in a way, but it will very, very likely be released as VC in the future. If it is the mastered version this is just so cool and exciting. Can't wait to give it a shot. @SLIGEACH_EIRE How dare you not be pleased with everything Nintendo does, eh? Anyway, good for the developers to finally get their game released. Was it not originally cancelled because it looked too good for the SNES and made the N64 look bad? I'm not sure on my Nintendo history during the 16 bit era. Sometimes I think people don't even read half the stories on this site before they make a comment. Look at a lot of the comments here. No comment on the story but rather, 'I don't like your comment, so I'm going to bash you for it instead'. Now back to the story. Did people read this? "Star Fox 2 was shaping up to be a massive improvement over its already stunning ancestor, and would push the ageing SNES to its very limits. However, during the development period Sony and Sega both launched their powerful new 32-bit home consoles, the PlayStation and Saturn - and as a result drastically altered the public's perception of what 3D visuals should look like. The playing field was changed overnight and it was clear that Star Fox 2 - despite clearly running on older hardware - would be compared the latest 3D games hitting the market. It says a lot about Nintendo as a company that it had the gumption to pull the plug on the title completely." "It was the summer of 1995 and the PlayStation and Saturn were suddenly doing very well in Japan," recalls Cuthbert. "I think that caught Nintendo off-guard. The decision was made because they didn't want the old-gen 3D going up against the much better 3D of the next generation, side-by-side. The rivalry between Sony and Nintendo was very fresh and strong back then because of the whole SNES CD-ROM affair." What makes the decision even more remarkable is that Star Fox 2 was practically finished. "The game was about 95 percent complete," Cuthbert adds. "Even after the decision was made we went ahead and completed it, taking it to be fully QA'd through Mario Club." It wasn't good enough 20 years ago in Nintendo's own eyes. But suddenly it's fine now? I loved playing NES games back in the late 80's/early 90's. But now they're painful to look at. The same goes for Star Fox on the SNES. There are beautiful SNES games that hold up really well, Star Fox isn't one of them. So who are the 2 girl characters included in the drawing? Weird that they refused to release this but still manage to released Donkey Kong Country 3 and Kirby's Dream Land 3 by the end of the Super NES cycle. I know they are planning the N64 and that they are making a new one for that system but c'mon the game is finished, all it needs was a proper release. My guess is that Nintendo had a shortage of Super FX chips at the time and didn't had many to provide in able to run the game as Star Fox 2 requires two of them. Now if only we ever get a peek of that Super NES port of Killer Instinct 2 that Rare claim to had completed but was never release. And now they want us to pay 80 bucks to play it. Just release switch VC already so that I can play these games on the go. @SLIGEACH_EIRE It's not suddenly fine now. It's been fine for over a decade. That's the thing about retro games. It doesn't matter. Well, all I know is that the ROM version of Star Fox 2 doesn't sniff the classic and seminal original Star Fox. And, I'm not convinced it's as much to do with it being a slightly earlier build that it is a difference in the approach to the underlying game design. That recent Star Fox game on DS, Star Fox Command (to use a similar example), was a mastered version, and I don't think it's a patch on the original Star Fox in terms of being an actual engaging and fun experience. It's just not as enjoyable playing in those generic wraparound levels as it is making your way through the more linear but deliberately designed and specifically laid out levels as found in the original game. And the controls of some of the new vehicle additions just felt very clunky too. So, I guess we'll see. . . . I'm happy the game is finally seeing an official release and that it's part of the collection here--it's just cool to see it anywhere officially--but I'm not thinking of it as one of the standouts among the generally stellar selection of included games. Any future commenters; Let's stay on topic please! @Nintendian Mind your language, profanity isn't allowed. @Tarolusa Same for you, mind your language. And to prevent future irritation, Ant developed a wonderful little ignore button. Everyone is allowed to say what they think (provided they don't break the rules), you're also allowed to disagree with everyone, but please watch your language. @RainbowGazelle It was because Nintendo wanted a clear cut between the two as the N64 was supposed to be the powerhouse 3D machine and the SNES the cheaper, but 2D experience. It is why we got DKC3 on the SNES, but Starfox 2 got shelved. It is a shame, but I'm really happy to see Mr. Cuthbert finally get the finished product he has been so proud of out in the wild. Even if it is attached to the SNES Classic (I'm sure there will be a VC release at somepoint, but it is still convinced me to put my money down). @Octane Sorry for causing a storm in the comment threads as well as the unwarranted profanity. I'll make sure it doesn't happen again. @SLIGEACH_EIRE "Did people read this?" @Octane OMG, I'm never logged in and hadn't discovered the ignore button, thanks for the heads up. It's interesting just how massive the improvement is just by ignoring one person. Now on topic, Star Fox 2's visuals, being 3D-like, had to go against more advanced 3D games of the era and would have looked poorly in comparison. DKC and Kirby, being 2D, were able to hold their ground more gracefully. Anyone else think they should make a Gameboy Advance "classic" with 50 or so games built in? On topic, @SLIGEACH_EIRE, I think it's great that Starfox 2 is getting a release. Just because Nintendo pulled it in the shadow of the next generation of consoles doesn't mean it wasn't good enough. It was yet another questionable business decision, especially as they had gone so far as to QA it and produce a master. I'm sure many SNES owners would have loved it as a swansong release and enjoyed the 3D on their good old Nintendo. 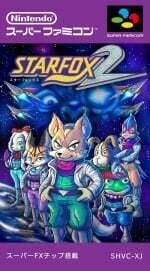 @SLIGEACH_EIRE Whether you like the original Star Fox or not it's a popular game that a lot of other people (myself included) love and are happy to see on the SNES mini. It's silly to complain about them including a classic, iconic game just because you personally don't like it. I really hope that they end up releasing the game seperately on the E-Shop because though it is a great marketing selling point I don't think anyone should have to miss out on this piece of gaming history, especially if this is going to be a limited run console. That would just be cruel to their fans. @exDeveloper Like I said, let's stay on topic. You don't need to make it personal with passive attacks. @SLIGEACH_EIRE Moaning about Star Fox being on this console again! Oh my, ignore button it is - see ya! Hopefully this gets released on Switch, because I am not holding my breath that I will actually be able to get a hold of a SNES Classic. @SLIGEACH_EIRE Fill me in on why people would be shocked in a bad way that a game never before released is being released? @Nintendoforlife I've already said why. If it wasn't good enough back 20 years ago then it's surely not now. @SLIGEACH_EIRE Haters are gonna hate because they have no lives. Yeah, why would anyone launch a VC service on the Switch with games like Mother 3 and Star Fox 2 headlining ... I agree that would be total overkill, no one needs that kind of buzz around his entertainment product, that would just be silly. @SLIGEACH_EIRE I don't think anyone ever said the game wasn't good. They said the visuals didn't live up to what the competition was offering. I don't think that matters anymore, especially not when it's on a device that's filled with ''old'' games. @SLIGEACH_EIRE I don't think that's an accurate point to make, considering Nintendo decided to shut it down themselves. Who knows it might have been considered one of the greatest games of all time, likewise it might have been worse then the most recent Starfox. I understand being excited or neutral about it, but being dissapointed about a game we know zippy zap about meh. Now nintendo needs to stick this in an actual snes cart for those of use who still have an snes and arn't paying $80 for starfox 2. If the Switch had a proper Virtual Console, there would be less anxiety over these classic editions. I wish they would at least say what the current situation is with VC and why it's being delayed. @Yorumi Count on hackers to dump the rom from the SNES Classic and put it on a repro cartridge that houses a Super FX 2. The chip exists in the wild, Doom cartridges use it and so does Yoshi's Island so it's not exactly a rare one to find and repros of the incomplete StarFox 2 already exist, so there you go. Your wish may come true even if Nintendo doesn't do anything about it. Edit: After seeing your other comments, it's clear that you just have some silly vendetta against the SNES Starfox games. Sorry for mistaking you for someone trying to reach a rational conclusion; Carry on with your whining. @Kafei2006 that's largely what I'm counting on. Please, let us forget Dylan Cuthbert. What game is he doing? He isn't doing anything! All I see he doing is talking about Star Fox like he was the sole responsible for the game. ALL. THE. TIME! @Lina-MG No he doesn't. He simply gets interviewed about that game a lot; plus, he's easy to reach out to. And his studio (who are famous for the Pixel Junk games) have been releasing games almost annually; the most recent games being The Tomorrow Children on PS4 and Dead Hungry for VR (both in 2016). Coming this year is a sequel to Pixel Junk Eden. So yeah, you're completely wrong. I'm looking forward to playing Star Fox 2 more than any other game on this console. We could have done without Earthbound, which was never released in the West, so it has no business being on this 'Greatest Hits' console as i like to think of it. @Meuz Earthbound was indeed released in the US. Came with a scratch and sniff guide in an oversized box. It was near the end of the console's life, and now sells for a very large sum for a complete in the box copy. It is also a game so beloved by it's fans that it has seen the original NES Earthbound Zero released on Wii U and they are still hounding Nintendo to release the GBA sequel. @yuwarite I agree. It would help a lot if we just knew what they were doing. It will probably be whenever the online subscription is fully explained. @The_Gerudo_King the extra pilots are Miyu and Fay. They were supposed to be new female pilots for this game and were never seen again. @Darknyht Fair enough. I just couldn't get into it myself. @SLIGEACH_EIRE You'd be wrong saying it wasn't good enough. It was plenty good, but they had good sense to kill it as well then. You had 2 3D dedicated systems hit, and while eventually delayed the N64 would have been out a good year earlier too and they had Starfox64 in the works. Instead they buried the game and took some of its qualities and put it into the other. Facts don't change, it's not even part of base list of games, it's a BONUS, an unlockable game if you play the original. Sure it's a hell of an extra selling point for many (myself included) but to say it was crap then and crap now is just an insult and again as others pointed out a long LONG laundry list of anti- quality whining out of you on every news post on this site pretty much. Always baffles me that people get so upset with opinions that don't match their own. Instead of understanding that everyone is different and even expresses themselves differently they send obscenities and hurtful responses. I like reading opinions different than my own because it helps me to establish my own opinions or even enter discourse to understand the other person. Keep em coming @sligeach_eire . I'm personally looking forward to news that Starfox 2 will be released through some sort of VC. I already have a SNES and most of the games included with the mini. No need to buy one or go through heartache of missing out on one. @SLIGEACH_EIRE It's not that it "It wasn't good enough 20 years ago in Nintendo's own eyes. But suddenly it's fine now? ", the game was good enough for them to complete it. It was a marketing-based decision. It didn't have anything to do with gameplay but simply that while Sony and Sega were advertising their 32bit 3D focused graphics, Mode 7 would get snubbed in the market. We can presume they then moved to StarFox 64 to make a more presentable game. However, I suspect this might actually be a better actual game than the prettier, but more linear, 64. It was a decision about the very same graphics arms race that pitted WiiU and Switch against PS4Pro and Scorpio today, but it was an "all or nothing" kind of era. 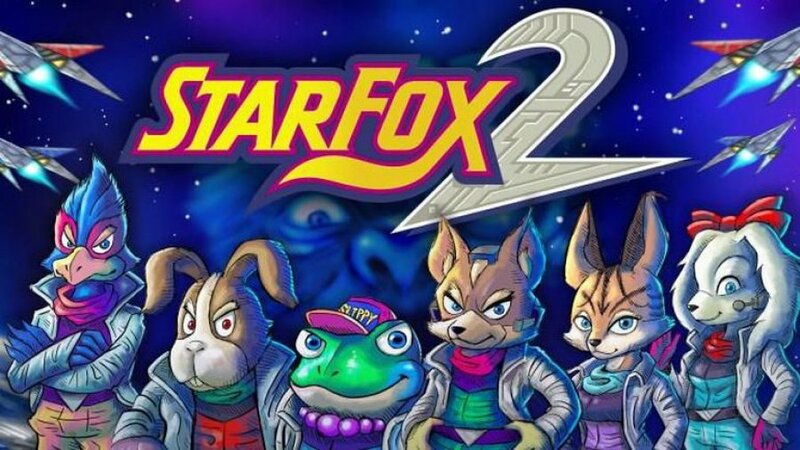 It really is exciting that Star Fox 2 is finally getting released. I will be even more excited if I can actually get my hands on a SNES Classic and play it. This would be great so long as we get ample supply of the SNES. I won't hold my breath. @yuwarite And still he is mostly know as "the Star Fox guy". @SLIGEACH_EIRE The idea that it is poor because it wasn't suitable 20 years ago is a silly one, the market was changing then and it has changed since. During the 5th generation 2D games suffered on console regardless of quality due to the explosive hype of 3D games but resurged in the 7th generation notably with 2D Mario tripling the sales of 3D Mario. Star Fox 2 could be great but still have been shelved due to the market. @Nintendoforlife "Who knows it might have been considered one of the greatest games of all time, likewise it might have been worse then the most recent Starfox." I loved the most recent Starfox so I guess even if it is worse than that it would still be a pretty steller game in my eyes. I hope I get a chance to play it! @gokev13 Yeah but that wasn't the general consensus haha. @Lina-MG What is your problem with the guy? He runs a successful Japanese video game company, called Q-Games, that's been running for 15 years and released over 20 games now. If anything, nowadays he's famous for being the "Pixel Junk Guy". Also, before Star Fox, he helped create Starglider and X, which are heralded for being technical marvels of early Vector graphic games. @SLIGEACH_EIRE I am QUITE happy with Dream Course's inclusion! That is a longtime favorite of me and a friend's. Can't wait! What is this IGN message boards?! Keep it classy people this is NintendoLife. @Lina-MG And, what might I ask, are you going to be remembered for? Been "the StarFox guy" is a far bigger accomplishment than been a random nobody who insults others for been proud of there work. @SLIGEACH_EIRE There were a whole bunch of legal reasons at the time dealing with the FX chip. Look it up. And it was explained by Nintendo, with playstation and Sega going head on into 3d, they directed all there attention to the N64. @deucezulu22 Yeah I've read that the Super FX games were pretty expensive. Around $80 in the US supposedly. SF2 would have been more expensive for much more rudimentary 3D than a PS1 game(since the CDS were cheaper). Whereas now they can release SF2 in a collection of 21 games with the whole thing being around that price. If they make enough, SF2 may very well sell more SNES classics than it would have sold it's own cartridges back in 1995. Isn't it funny and sad how it's become impossible to use the word for a female dog to describe a female dog ? Mind your language, profanity isn't allowed. Shouldn't users be prevented from swearing in the first place here? No, because the word has become offensive due to the other meaning in ways that all uses of the word have to be moderated even when not used in an offensive context. You're being a troll again Sligo. "It wasn't good enough 20 years ago in Nintendo's own eyes. But suddenly it's fine now?" See what you're doing there? You're being manipulative. You are twisting the facts. It was not released because of hardware issues with rivals, not because as you so twistingly put it "wasn't good enough". Anything for a reaction. You're on a little mission to stir trouble and destroy the Star fox brand. @TJM "@SLIGEACH_EIRE I don't think it's the validity he's concerned with, rather the instant, incessant, negative tone. You say it's your opinion - sure - but it sounds like you're on autopilot"
@SLIGEACH_EIRE Why would you make a fuss about the release of a previously unavailable game? This is one of the biggest landmarks in game preservation in its history. Nice surprise but ill wait for the vc title for the switch. Shouldnt take too long. Hopefully. So, I'm the third one asking: who are the (hot & furry) "babes" on the right in the picture? Or, do I have to play the game to find out? @Dpishere I completely agree with everything you just said. That be very cruel considering the rumors of how limited a run this console will be. I also feel like these systems are one of the things that is preventing Nintendo from wanting to release the Virtual Console right away, since being able to get these retro games is impossible on the Nintendo Switch at the moment. @Meuz No problem. If my memory is correct most missed it, it reviewed badly because of the simplistic graphics and sold poorly. It was probably only through the love and devotion of it's fans that the game became known at all to most people. I haven't been excited for a Nintendo game in so long! That said, I don't want to feed the scalpers.